What is SPECIFIC Canine Everyday Puppy All Breed wet food? SPECIFIC Puppy All Breed is a complete and balanced wet food for puppies of all breeds. It can be fed as a main meal or mixed with dry kibble. The recipe contains high levels of Omega-3 from fish to help support brain and eye development, and healthy skin, coat and joints. The added beta-glucans from yeast help support the immune system. This food is suitable for puppies of all sizes. 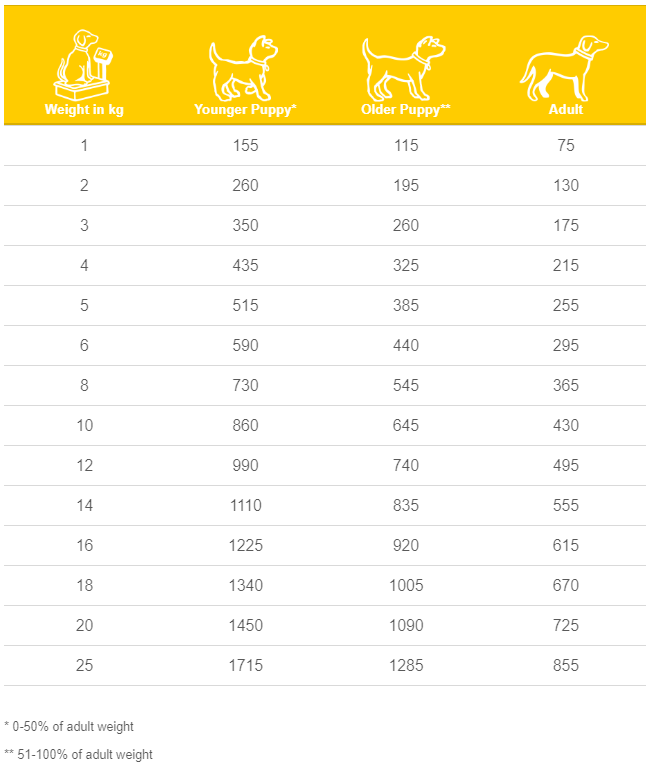 Please note: Due to the special growth sensitivity in large & giant breeds, it is important to feed them SPECIFIC Puppy Large & Giant Breed as their main, daily dog food. What are the benefits of using SPECIFIC Canine Everyday Puppy All Breed wet food? What is in SPECIFIC Canine Everyday Puppy All Breed wet food? Crude Protein 13g, Crude Fat 8g, Carbohydrate 8g, Crude Fibre 1.3g, Calcium 0.44g, Phosphorus 0.37g, Sodium 0.1g, Omega-3 0.22g, EPA 0.07g, DHA 0.1g, Water 67.7g, Ratio n-3:n-6 1:12. How much SPECIFIC Canine Everyday Puppy All Breed wet food should I feed?